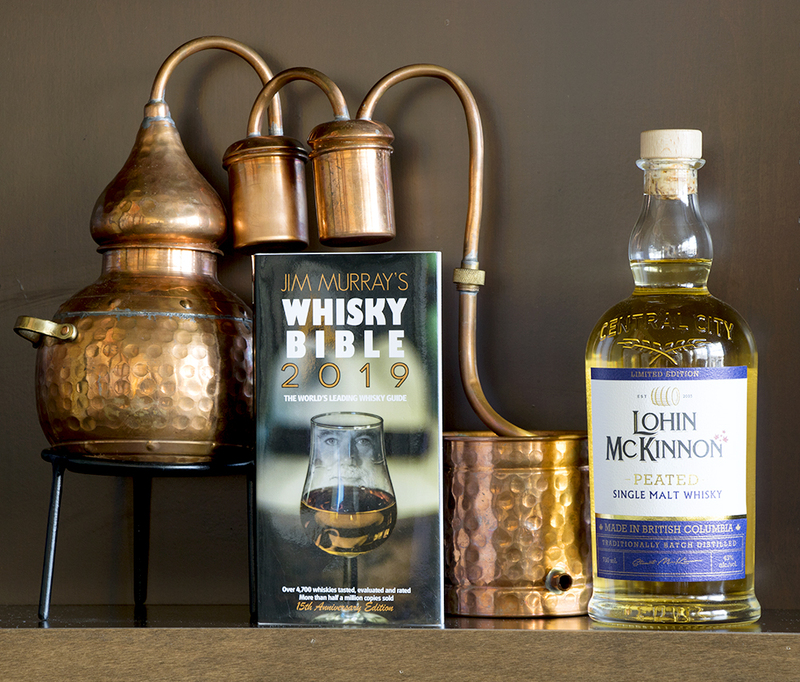 SURREY, BC – Lohin McKinnon Peated Whisky has been awarded a Liquid Gold Award with 95.5 points from the 2019 Jim Murray Whisky Bible, making it the highest ranked Canadian Single Malt Whisky! Lohin McKinnon Black Sage Wine Barrel Finished Whisky also was awarded an industry leading 90.5 points. Jim Murray’s whisky reviews include a ranking system out of a maximum of 25 points for each the following categories: nose, taste, finish, and balance to add up to the overall score out of 100 points. 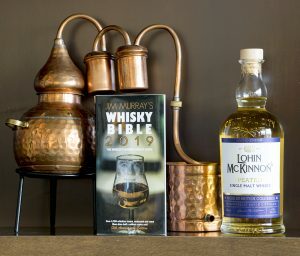 It is extremely rare for whiskies to rate over 90 points in Jim Murray’s Whisky Bible only the best in the world reach into the 90 points plus range. Jim Murray was extremely pleased with Lohin McKinnon Peated Whisky. Lohin McKinnon Peated Whisky continues to shine with this incredible award, now with this third accolade in 2018 after winning Double Gold at the 2018 San Diego Spirits Competition and Double Gold at SIP Northwest Best of the West 2018. Lohin McKinnon Black Sage VQA Wine Barrel Finished Whisky was also recognized as an excellent whisky by Jim Murray with a rating of 90.5. “We are extremely proud to have been recognized for the high quality of our Peated and Wine Barrel Finished whisky expressions this year. This continues to reinforce that we are producing the finest quality Canadian craft whiskies,” says Daryn Medwid Vice President of Sales at Central City Brewers and Distillers. Central City is a craft brewery and distillery in the business of developing, producing and selling international award-winning, premium craft beer and distilled spirits, made without compromise. Based in Surrey, British Columbia, CCBD was voted Canada’s Brewery of the Year in 2010 and 2012. Their Red Racer brand has become a cult icon among craft beer enthusiasts throughout North America. Founded in 2003 as a brewpub and liquor store in downtown Surrey, CCBD celebrated its 10th anniversary in 2013 with the grand opening of a brand new, 68,000 sq. ft. brewery and distillery on Bridgeview Drive. It opened a second restaurant in downtown Vancouver, Central City on Beatty, in 2015. Download PDF of the press release here.